Heirloom investments like Oriental rugs require regular maintenance and specialized care to maintain their grandeur and value. Not just anyone is qualified to care for these artistic furnishings! Who should you rely on in the Natomas and Sacramento area to maintain your Oriental and custom rugs? Sacramento area businesses like Allied Custom Upholsterers and Rytina Fine Cleaners encourage their clients to request Artistic Associates for cleaning, maintenance and repair of premium rugs and flooring. Why is Artistic Associates your best option in Natomas for Oriental rug care? Wool or silk rugs are always cleaned and restored in our custom-designed facilities. Owning our own workshop allows Artistic Associates to safely inspect rug fabrics and dyes before starting specialized cleaning procedures that are different for every type of rug. Rest assured that your item is treated by hand during every step. For security purposes, your Oriental rug is always in our personal care; we never send work out to subcontractors. Museum-quality preservation is the highest standard of rug maintenance and Artistic Associates’ technicians provide that level of care. Review our eight-step process for cleaning Oriental rugs. You will see that the same craftsmanship that went into creating your rugs is applied to cleaning and repairing them in our shop. Artistic Associates can repair damage to rugs from all sorts of sources: water seepage, food stains, insect damage, and pet urine. Applying safe fabric protectants and producing customized underlayments are additional features that we recommend for our customers. Some of our clients discovered the hard way that certain cleaning procedures work for synthetic carpets, but basically ruin Oriental rugs. You are searching for professional rug maintenance that you can trust. Artistic Associates is locally operated, family-owned, and has over forty years of experience cleaning Oriental rugs. Our practical knowledge is combined with the highest training from the Institute for Inspection, Cleaning and Restoration. At Artistic Associates, the art of Oriental rug construction meets the science of their proper care. For the safety of our clients, Artistic Associates is fully insured and bonded. Nevertheless, our time-tested procedures, qualified tradesmen and personalized facilities are your primary guarantee that your rugs will be treated with the utmost care and respect. 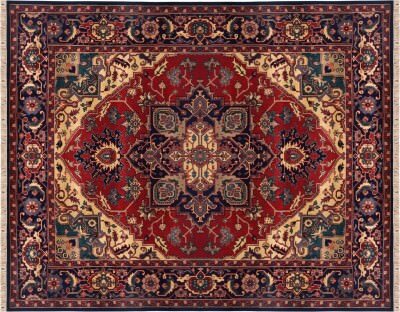 Employ the Oriental rug cleaning service Natomas trusts! Honest pricing, expert technicians and a specialized workshop guarantee that the care and repair of your rugs will be a successful experience. Get your money’s worth and preserve your fine furnishings with Artistic Associates! Clients from Natomas, California contact us by phone at 916.483.7400.